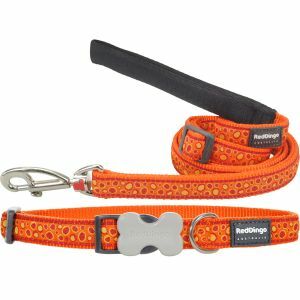 The Red Dingo Bedrock Orange Collars are adjustable, practical and convenient for all dog owners. Available in three different widths, and 3 different sizes. Each Red Dingo Dog Collar is made with premium nylon webbing, solid stainless steel D-rings and Red Dingo's trademarked buckle bone side release buckle. These Collars are perfectly designed to match with all Red Dingo Dog Tags, making them a perfect match! Hand welded, solid stainless steel ensures D-rings will not break. Stainless steel will not rust and therefore will not discolor the pet’s fur. Original trademark and registered design. Bucklebones are designed not only to look good, but to be stronger than most other side release buckles used in the pet industry. Only imported virgin Acetal is used to ensure strength.